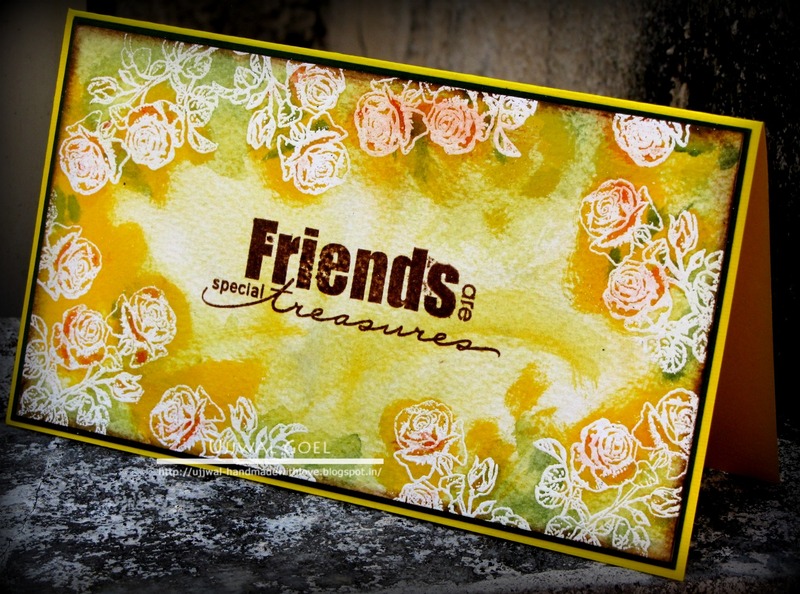 So when I bought this tiny and beautiful rose stamp that I used in the card here, I knew it had more possiblities waiting to be explored. 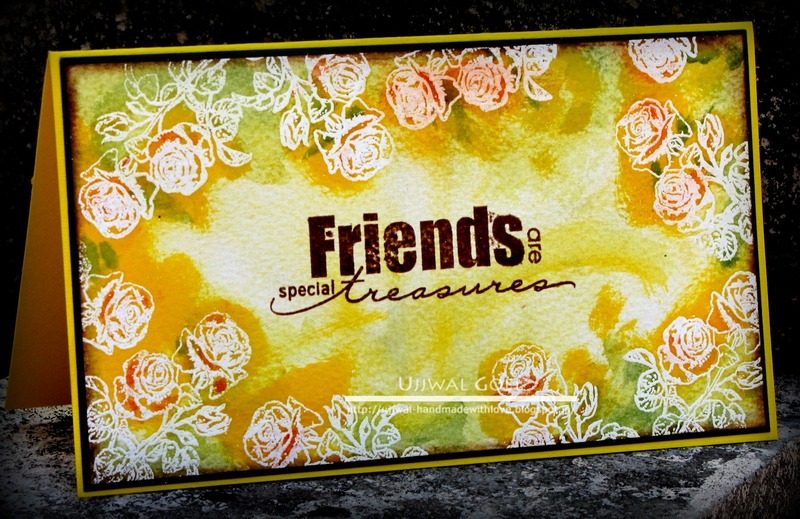 I am playing along Lulupu's Fortnight challenge of stamp, emboss and color. 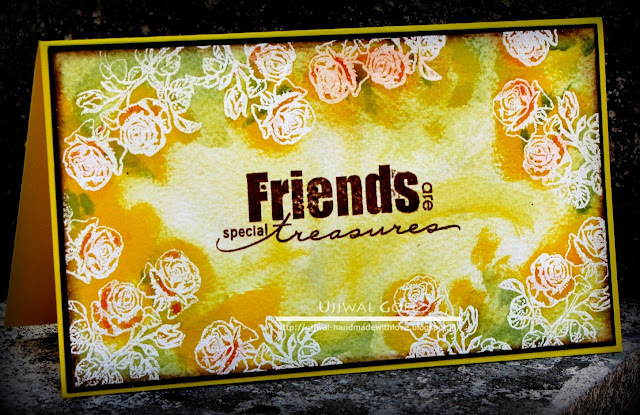 Beautiful card Ujjwal. I saw this kind of technique somewhere on pinterest and tried it out. But was not too happy with the results. Your card looks really pretty with the vibrant colors! Absolutely fab as always Ujjwal. Loved the colour...so pretty and looks different too! Please go crazy more often Ujjwal! This is breathtaking! Simple breathtaking!!!!!!!!!!!! Online live Workshop on Card-Making & Stamping!